Handcrafted birchwood legs and a vibrant Tiger print pattern highlight the Safavieh animal pattern Ottoman. The seat features a vinyl animal print . 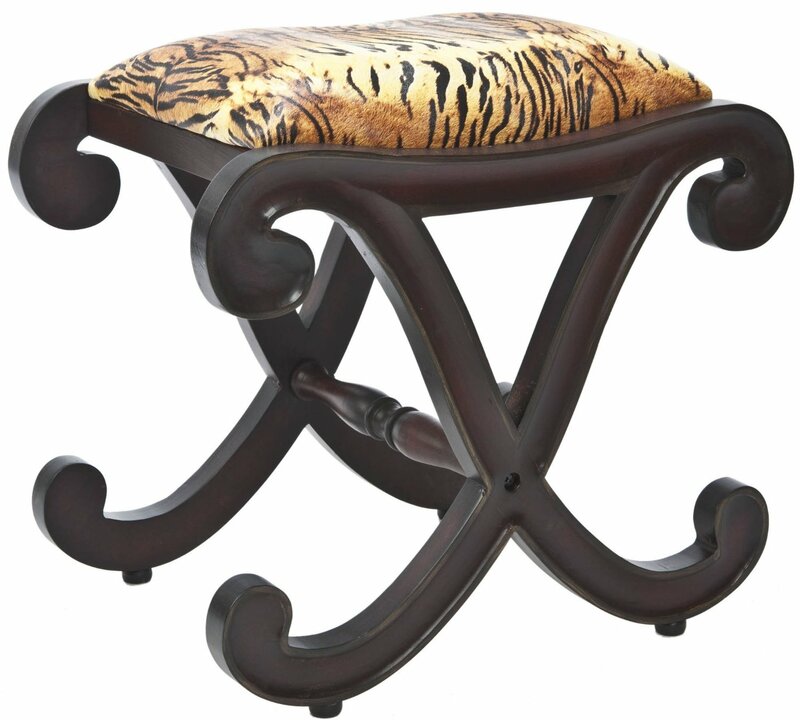 The hand carved legs feature a Dark Walnut finish. Upon delivery, this ottoman requires home assembly. The fully assembled ottoman measures 24-inch long by 16-inch deep by 23-inch high.